USANA, word! : Eat smart, eat happy, boost your brain! Eat smart, eat happy, boost your brain! You already know that what you eat helps nourish your body. But did you know that what and when you eat it can also affect your brain, your mood and your focus (or lack of it)? Good nutrition may prevent degenerative problems like Alzheimer’s and it may even cut your chances of depression. 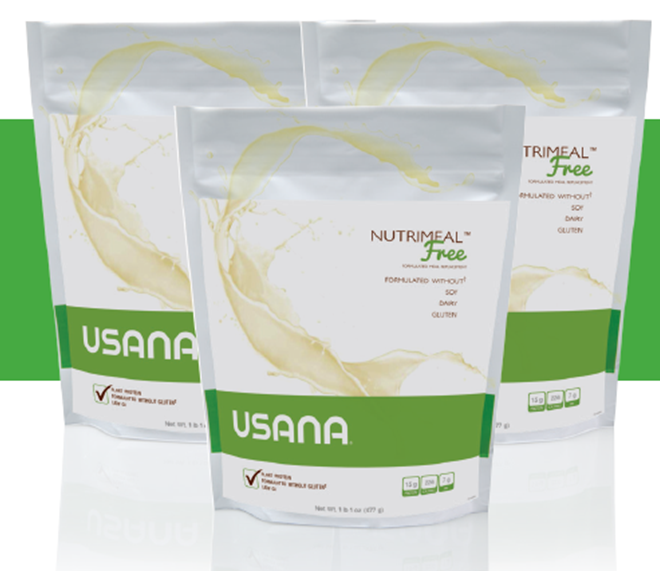 So, here at USANA Australia, we’re focussing on how food components and nutrients interact to affect your brain health in our latest Product Focus (which you can download from USANAtoday). Plus, we’ve put together a sample day of happy meals and explain how foods, nutrients and USANA products can help nourish your noggin! The first meal of the day literally breaks the overnight fast. A healthy brekkie will set you up for the day ahead and keep you going. Breakfast eaters also tend to be more focused and less likely to grab unhealthy eats. Oats contain more soluble fibre than other grains and this binds to cholesterol helping to reduce the absorption of cholesterol in the intestines. This ancient grain can help to keep your cholesterol levels in check (high blood LDL-cholesterol is a warning sign for heart disease which is still Australia’s number one killer). Since your brain is rich in unsaturated fat, it’s important to protect it from oxidation. Hence, make sure you get your fair share of antioxidants. Antioxidants do just what their name suggests – they counter the damaging effects of oxidation and fight rogue molecules called free radicals. Over time, free radical damage can wear out cells – including brain cells. As well as containing antioxidant pigments, berries and other fruits also contain antioxidant vitamins including vitamin C. Blueberries and grapes are especially brain healthy – blueberries may even reduce the effects of age-related conditions such as Alzheimer's disease or dementia. Hint; whizz up an easy, speedy Nutrimeal™; formulated to be high protein, low GI and low in calories – important if you’re watching your weight. Throw in some frozen berries for a fast and tasty breakfast on the run! 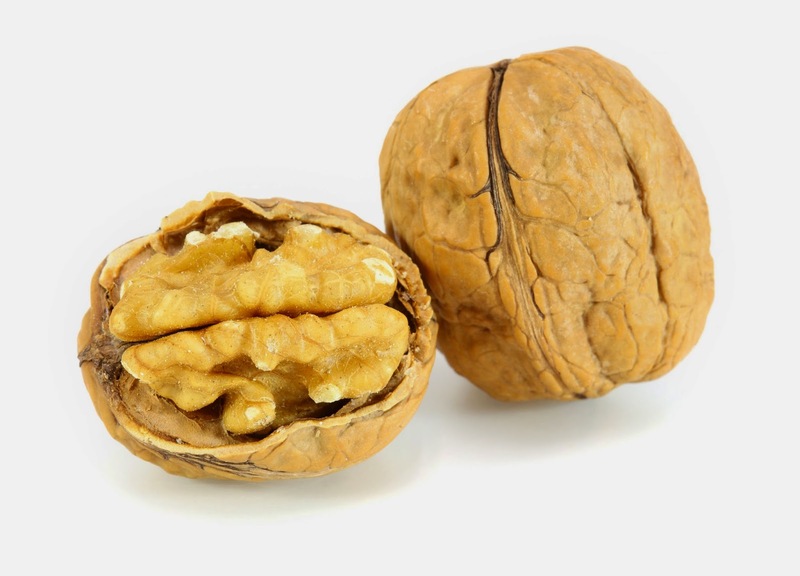 Just 10 walnuts each day helps to optimise the composition of cell walls. Plus, studies have shown that walnuts can help to lower blood cholesterol levels, too, which in turn helps improve blood flow around the body – including to your brain. Nuts are rich in vitamin E – low levels of this fat-soluble vitamin are associated with cognitive (brain decline) in older people. Almonds and cashews are other great choices and Brazil nuts are a rich source of the antioxidant mineral, selenium. Careful how you go, though – nuts are also calorie-rich. Hint; USANA’s delicious Go Nut ‘n’ Berries™ bars contain walnuts and almonds plus cranberries for an antioxidant boost. Boost flagging blood glucose levels in a healthy way with fruit. Unlike manufactured snacks, fresh fruit won’t cause a massive surge in blood glucose because fruit is naturally packaged with fibre. Fibre holds onto the fructose and other sugars in fruit releasing it slowly so that you get a steady energy supply. Fresh (and lightly cooked produce) is also rich in vitamins and minerals. Tiny nutritional powerhouses, pumpkin seeds contain a wide variety of nutrients from magnesium and manganese to copper and zinc. Pumpkin seeds also contain the amino acid tryptophan which is converted by the body into serotonin, the feel-good brain chemical. Your body can convert serotonin into the sleep hormone, melatonin. So snacking on pumpkin seeds a few hours before bed with some carbohydrates (like wholegrain cracker or some fruit) may help promote restful sleep. Enjoy your snack with a cup of tea or two – tea contains anti-inflammatory compounds called catechins and a review published in 2013 in the American Journal of Clinical Nutrition found that regular tea drinkers reported better alertness and attention. Also, studies of older people have found better brain function associated with drinking tea. Brain-protective compounds in tea include L-theanine and catechins. Caffeine is also a mild stimulant and when it’s used sensibly, caffeine promotes mood, memory, and focus. Hint; find tea compounds in HealthPak™, Essentials™ and Rev 3 Energy™ Drink contains the goodness of green tea. How about hummus and salad sandwich on wholegrain bread? Wholegrain bread (or brown rice) contains fibre, vitamins and slow-release low GI carbohydrates. Carbohydrates are your brain’s preferred energy source and your body relies on a steady stream of energy. Excess glucose is converted into glycogen and into fat. Always choose low GI carbs to help to regulate your blood glucose levels and this, in turn, will help maintain energy levels and ultimately, your mood. High in protein, rich in fibre, low in fat! 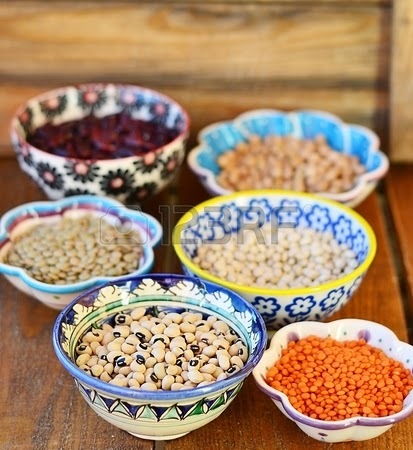 Chickpeas and other beans – whether you’re talking kidney, soy, borlotti or butter – provide protein and slow release carbohydrates to help regulate the mood-enhancing neurotransmitter serotonin. Healthy oils are vital to keep the walls of your arteries clear. Obstructive plaques (made from accumulated saturated fats) narrow blood vessels restricting the flow of nutrient- and oxygen-rich blood which all cells – including your brain cells – rely on. Replacing saturated fats (from animal foods like butter and cheese) with unsaturated oils (from plant sources, nuts, seeds, olives, avocadoes and oily fish) is better for your body – and better for your brain, too. Add plenty of salad veggies to provide crunch, texture, fibre, water and lots of antioxidants to keep your delicate brain cells protected against free radicals. Try fish curry with brown rice, broccoli, carrots and tomatoes. Oily fish like salmon and fresh tuna is rich in omega-3 fats (salmon contains 1.7grams per 100g fish) and omega-3s are on double duty where it comes to brain health. As well as being vital for brain function, most of your body’s omega-3 fats are located in brain tissue. Omega-3 fats are potent anti-inflammatories and by helping to reduce inflammation, you may help your brain to function more efficiently. Getting enough omega-3s has also been linked with better mood in some studies. Omega-3s also have a powerful role in improving cells’ ability to take up essential hormones, including those involved in mood regulation. Your body can’t make omega-3 fats so you need to get them from your diet. Veggie choices include walnuts and omega-3 fortified foods, flaxseeds and canola oil. Hint; USANA’s BiOmega™ contains a therapeutic concentration of omega-3 fats DHA (which is concentrated in the brain) and EPA. Plus, our award-winning Go Nuts ‘n’ Berries™ bars provide a vegan source of omega-3s coming in with a whopping 500mg omega-3s! Low GI that is. GI relates to the length of time it takes the body to break down carbohydrate foods. It takes your body longer to break down low GI foods (compared with high GI foods and drinks) and these results in a slow and steady energy release which keeps body and mind fuelled for longer. High GI (sugary) foods and drinks, on the other hand, provide a rapid surge of energy followed by an energy slump as insulin is overproduced by your body as it tries very hard to keep your blood glucose (sugar) levels to within normal – and very narrow limits. Couple low GI eating with some protein and fibre to keep you fuller for longer and you will be able to concentrate for longer without being bothered by hunger. With age, brain cells spurt inflammatory (and fast-spreading) chemicals. And, while inflammation is the body's normal response to injury, chronic (long-term) inflammation can destroy brain cells, potentially leading to dementia. Curcumin, the active ingredient in turmeric (a cousin to ginger) which gives Indian curries their golden glow could help beat inflammation – even inside brain tissue. In fact, scientists are researching whether the high levels of turmeric in the sub-continent could account for India's amazingly low rate of Alzheimer's. Find curcumin in turmeric, curry powder and mustard. Eating turmeric with black pepper increases the body’s ability to absorb this zingy curry spice. Cruciferous veg – broccoli and cauliflower – seem to be particularly beneficial brain protectors. And, carrots are a great source of antioxidants carotenoids and vitamin A. Red produce like tomatoes are a potent source of the antioxidant lycopene – cook and/or serve with a drizzle of olive oil to boost your body’s absorption of this deep red pigment. Deep green leafy veg like spinach, kale and broccoli provide both flavonoids and carotenoids – you could say they are on double nutrition duty! 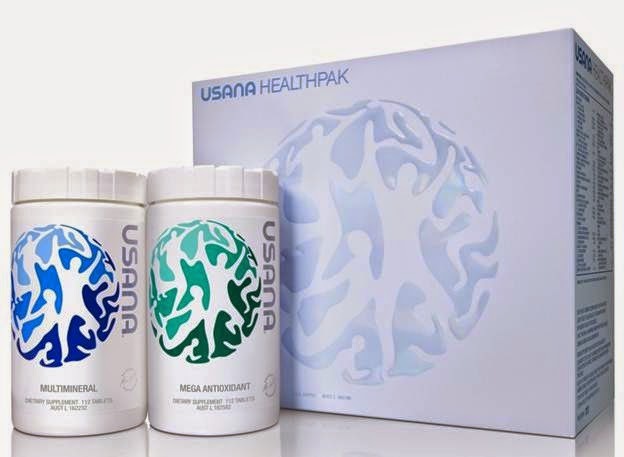 (Hint; USANA’s HealthPak™ and Essentials™ contain a wide range of antioxidants). And now for the best news ever! A good quality chocolate contains a powerful mix of antioxidants and several stimulants one of which is caffeine. Caffeine can stimulate the production of feel good chemicals, endorphins, which improve mood. When choosing chocolate, go for a product that contains at least 70% cocoa. And just two to four squares will do the trick – it’s a case of less is more! Or, finish your meal with another flavonoid-rich food such as apples or red and purple grapes, washed down with a glass of red wine (but just the one glass!). Three-quarters of your brain is water and it’s important to stay hydrated throughout the day for general good health. As far as brain health is concerned, one small study from Ohio University in the United States study found that people who were well hydrated scored better on tests of their brain function compared with those who weren’t drinking enough. According to Australia’s Black Dog Institute, exercise can lift mood and even treat depression. How? It raises your energy levels – so you feel better able to cope with daily tasks. It provides a distraction from concerns – especially if you exercise with some upbeat buddies. Choose something you love and you’ll love to exercise. And, if you work out on an empty stomach in the morning, your body goes directly into the fat stores for energy. Then, enjoy a deliciously healthy brekkie. Yep, that really is a win, win!